Philosophy in schools in Australia dates back to the 1980s and is rooted in the Philosophy for Children curriculum and pedagogy. Seeing potential for educational change, Australian advocates were quick to develop new classroom resources and innovative programs that have proved influential in educational practice throughout Australia and internationally. Behind their contributions lie key philosophical and educational discussions and controversies which have shaped attempts to introduce philosophy in schools and embed it in state and national curricula. Drawing together a wide range of eminent scholars and practitioners in the field of educational philosophy, this anthology, the first of its kind, provides not only a historical narrative, but an opportunity to reflect on the insights and experiences of the authors that have made history. The collection is divided into three parts. 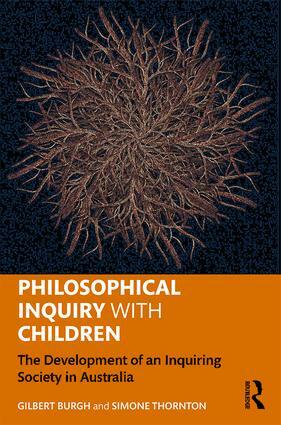 The overarching theme of Part I is the early years of Philosophy for Children in Australia and how they informed the course that the ‘philosophy in schools movement’ would take. Part II focuses on the events and debates surrounding the development and production of new materials, including arguments for and against the suitability of the original Philosophy for Children curriculum. In Part III, key developments relating to teaching philosophy in schools are analysed. This collection of diverse views, critical appraisals, and different perspectives of historical currents is intended to stimulate thought-provoking questions about theory and practice, and to increase general awareness both nationally and internationally of the maturation of philosophy in schools in Australia. It is also intended to encourage readers to identify emerging ideas and develop strategies for their implementation.